The most frequent request I get from readers is to explain how to tell the difference between intuition and their own thoughts. Here are two examples to help you understand how to know the difference between your own thoughts and a flash of intuition. The other day I heard a little voice in my head. It said: Look for the plumber’s cell phone number. I chose to ignore it. Big mistake. I have a former client who happens to own a plumbing company. Two weeks ago, I’d had a plumbing problem in the upstairs bathroom and called him. He sent over some of his crew to take care of the problem. In the meantime, I’d tucked away his private cell number in a notebook I keep at my office, thinking I wouldn’t need it again. When I got this intuitive flash I decided I was just being paranoid due to the recent plumbing problem and kept working without going through my notes to find the client’s cell, although I must confess this thought kept nagging at me. I even recall thinking: If it turns out I’m wrong this will make a fine example for readers who are still unclear as to how to distinguish rational thoughts from intuitive flashes. Guess what? The first thing I heard when I walked in the door at 6:15 was the sound of running water coming from the basement! I was beside myself that another old pipe had developed a leak. Plus, I wanted to kick myself – for not having my client’s cell as it was after hours and his company was closed for the day. Luckily, my client has an emergency number and he did send out some of his plumbers but, I had to wait nearly an hour that I wouldn’t have had to wait otherwise if I’d called him directly on his cell. It never fails, when you overlook an early warning from your intuition you’re always sorry. “To set the stage, at work I’m a food scientist which means I spend about ½ my time in my office, and ½ my time in the test kitchen – with all of the normal stuff you would find in a home kitchen, plus a bunch of other equipment. It was Friday afternoon and I was getting the munchies. I had brought an apple in my bag that day and it was a very big apple, so I wanted to cut it first before I ate it. No biggie- I’ll just go back to the kitchen and cut it. Mind you- Friday afternoons are typically reserved for paperwork, so usually no one is working in the kitchens. So I washed my apple, got out a cutting board and a knife. I quartered my apple and took the core out, then my intuition started to bother me again. As you can see, both Tamra and I were well aware that it was our intuition speaking. Both of us minimized the warnings – to our detriment. Why did we ‘choose’ to overlook and ignore these intuitive warning? Intuition is simple, obvious and to the point. Intuition is not convoluted, mysterious and long winded. We ignore our intuition because it seems too obvious and easy to rationalize away. In my case, I presumed I was still worried about something else going wrong with the plumbing. I overlooked two clues that should have alerted me to the truth of this dire warning. I was in the midst of doing something completely different when I heard this warning. I wasn’t thinking about the plumbing in the house. In fact, I felt confident that the plumbers had fixed the problem and hadn’t given it another thought, until my intuitive flash interrupted what I was focused upon. Your intuition will interrupt whatever you’re doing – just like the “news crawl” on the television interrupts the programming to make an announcement about something. This was one of the clues I overlooked. I’ll explain the second clue using Tamra’s story as an example. Tamra is a food scientist and works in a test kitchen. Chopping and using kitchen tools are Tamra’s livelihood and no doubt, she’s a master at what she does. Acknowledging that she’s an expert in the kitchen she ‘reasoned’ that she wasn’t going to be using any of the more dangerous kitchen appliances such as the grinder or deep fryer to try to quell her anxiety. Who would presume that an expert would cut off the tip of her finger with a simple kitchen knife she’d used probably thousands of time. She chalked it up to being paranoid, just as I had and went ahead and ignored this early warning from her intuition. Tamra ignored a huge clue as well. Tamra was well aware of the anxiety she was feeling due to the flash of intuition warning her about cutting the apple. She tried to appease her anxiety by rationalizing that she was not using any of the dangerous appliances but, that she was merely cutting an apple. When you still feel anxious even after applying reason and the thought still nags at you – take heed. An intuitive flash cannot be reasoned with or attributed to ‘paranoia.’ It won’t go away by applying logic. It will only subside if you listen to it. I hope you learned a lot from both these unfortunate examples! Tamra thank you for allowing me to share your story with PbI readers. I’m so happy to hear that your finger is healing, as I’m sure everyone who reads to this will be as well! If you found this post worthwhile please share it on social media. Thank you! P.S. 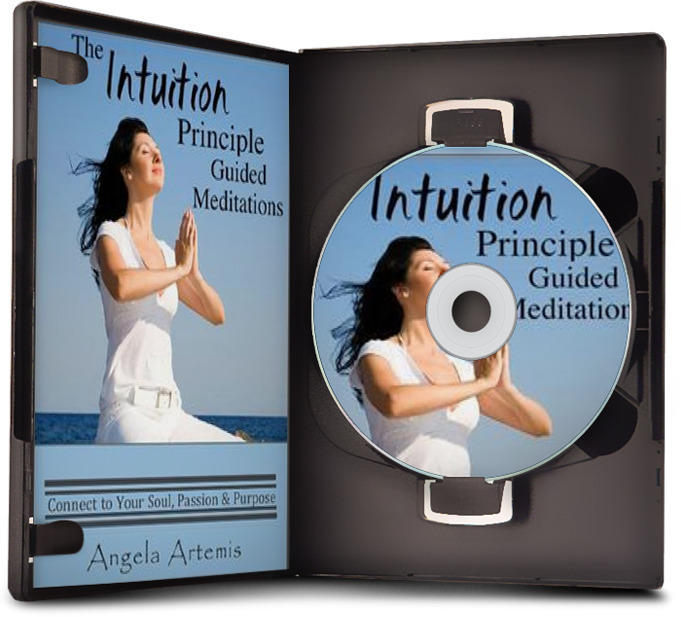 Subscribe to my newsletter to receive exclusive content, updates, ask me questions about intuition and share your stories about intuition, plus get my free ebook, “The Intuition Primer,” as your gift. The subscription form is on the right – under the picture of the book cover. Please check out my guest articles on The 100% You and The Daily Awe this week too. Very interesting stories, but I have a question. Your story makes sense that it was intuition, but Tamara’s makes me wonder: did she make herself cut her finger because some part of her mind believed it was going to happen? Otherwise, it doesn’t make sense to me. It’s not destined that she will cut herself with the knife. Who is talking to who? What was triggering the part saying don’t cut the apple? Confusing. Anyway, let me know if my questions even make sense and if you have any thoughts on them. I think that the way that Tamra narrated her story made it look as if she might have had an influence on the outcome. I don’t actually believe it though. I think what she did was apply a bit of poetic license to an incident that took all but a few moments to illustrate the point of how intuition comes through. Yes, you’re questions makes sense! Got the lesson loud and clear- wow that was a lot to deal with- first the price then the potential of a deal! I’ll keep using my crystal and listen to my intuition- Thanks for sharing you lessons with everyone. I’m not ever sure I get those flashes of intuition, I will have to start paying more attention. Most everyone does. It is a matter of as you say, starting to pay more attention. Angela, I don’t think you’re right or feel you are either, I sense you are spot on! Thank you for the vote of confidence!!! Thank you so much for hosting me at The 100% You too! Very good post! I always wondered about the same question too. I like to think now that early warning or spidy sense is “intuition” and when we answer back “don’t worry” is our thoughts. I have found that whenever I have decided to follow my gut feeling it always worked out but alas, I have chosen to ignore these warning a few times too and results were predictable. I like your examples. Thoughts come through my mind from time to time, and I realize I need to pay more attention. I recently had one of those moments when I was thinking about someone and next thing I knew they had texted me. It gives you pause. I will remember your post next time one of those warnings crosses my mind. Thanks. Yes, do pay attention to those fleeting thoughts! You definitely heard your intuition loud and clear when you thought of your friend and then received a text from her. I’m glad you found the article helpful. I’m happy to see you here too! 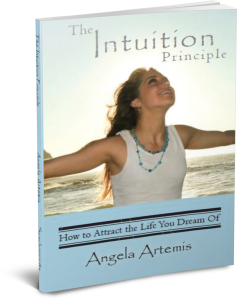 I absolutely agree – intuition is allied with wisdom – it is our innate wisdom. Absolutely! It does come through most easily when we are still. Yes, then having the courage to follow your innate wisdom is the very next step! I’m still learning how to distinguish between the two voices. Two weeks ago, I paid attention to my nagging feelings and acted on them. The result has been a happy ending. However, just two days ago, I ignored my intuition once again and am still “suffering” from the negative consequences. It has been rather stressful 🙁 One thing I learn is to pay attention to my intuition and be prepared to not give in to what others say. I’m glad you followed your intuition in the first case and and all turned out well. But, so sorry to hear the situation where you didn’t and suffered because of it. I can relate! I guess you could chalk it up to experience! Not giving it to what other people say and sticking to your intuition is huge! That’s great. When you can do that you’re gaining a lot of confidence in your intuition! Sometimes we ignore intuition is because it didn’t turn out the way we wanted it to be. One question: Does intuition only work on situations that we have power to make and amend changes? Yes, we absolutely ignore our intuition when it tells us to do something we don’t want to do. I’m not sure I’m understanding your question. Are you asking if our intuition doesn’t communicate with us when we’re in situations that we have no power to control or change? If this is your question – the answer is no. Your intuition is always on and working no matter what the situation is. Your intuition is there to protect you from harm and lead and guide you to your highest good. If there is a need for your intuition to guide you – it will try to be heard no matter what kind of situation you’re in. I hope this answers your question. If not – email me. This is a great article and great reminder for me to listen to my intuition. As of late, I have been so caught up with the noise in my head that I haven’t been able to hear it. My intuition first speaks to me in those still, quiet times through a gentle whisper or knowing to the depths of my soul. If I ignore it, I usually suffer an unwanted consequence. Thanks for explaining the difference. I’m happy to hear that you enjoyed the article. I’m sorry to hear that you’ve had a lot of noise in your head. You must be worried about something? I love your intuition posts. I’m getting some pretty big intuition about some of my book decisions including the next one I’m writing. I’m following them even though I’m not sure about a couple of things. But I’m trusting my intuition!! I’m glad you enjoyed this post. Keep following your intuition about your book! I love the way you walk us through the process here. Seeing it written down like that makes it easy to recognise all the times I’ve squashed my own intuition by allowing the rational mind to override it. The difficulty I find is that it all happens so quickly, I find it difficult to catch while it’s all happening. Good piece Angela. It reinforces my belief that we’re taught to ignore our own intuition so we’ll be at the mercy of those who want to control us. Soon their voices fill our heads instead of our own. For me, if the voice isn’t yelling at me but genuinely letting me know about something, I figure it’s my intuition and not the controllers. Rob- I love that – using our intuition correctly turns our hindsight into foresight. Magnificent!! I also think that doing what makes you feel comfortable or at ease in these situations is terrific advice. What a great way to describe the time we wonder if it’s intuition or anxious feelings – I’ve been in that spot so many times and not until after did I realize it was really intuition. It’s those nagging feelings that turn out to haunt us later if we ignore them! Once I had this nagging feeling that I should call a client and got sidetracked. It turned out he was given erroneous information later that day about the product I was talking to him about and that upset him. Had I called him earlier he wouldn’t have gotten this misinformation and been upset! Oh boy – the fear thoughts – that a huge subject. I think what I’ll do is write a follow up post based on a few of the questions I’ve gotten in the comments here. I’m glad to hear that you listen to your intuition most of the time though! 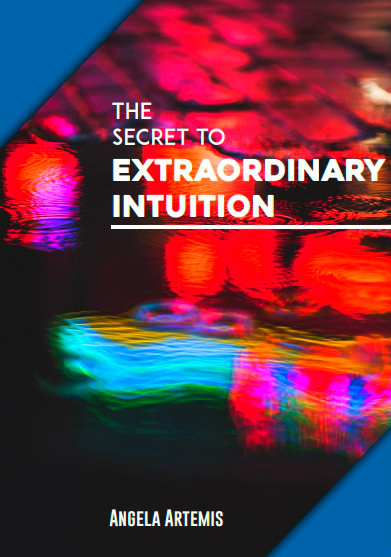 Thank you for sharing such great stories about intuition! Tamra’s story was painful to read but it does clearly illustrate how intuition and logic plays out in our minds. I do hope her finger heals soon. Given that most of us rely more on logic, it is not surprising that we would ignore our intuition in favour of it to our detriment. 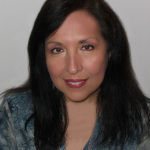 Your story also shows how much needless problems we can cause for ourselves by not erring on the side of caution when it comes to our intuition. Paranoia and complacency can get us into a lot of trouble especially when it comes to our intuition. I generally like to err on the side of caution when my spider-sense tingles. It is better to be overly cautious than to slip up despite having prior notice from my intuition. Often when I am aware that something unfortunate would happen during the day, I tend to be especially cautious and take even less risks especially when it comes to simple and everyday things. I have learned from experience that even mundane routines can place me in grave danger if I am not careful. Last Sunday, I divined a very bad reading. But I did not give it too much thought and headed for my usual gym session. But before I even started my session, I got a tummy ache and due to my delay, I felt fatigued. Recalling my reading, I decided to skip the rest of my session since I did not feel even 50%. It was just as well because I soon started to experience low sugar levels. Had I persisted, I would have collapsed in the gym as a result. By heeding my intuition early, I was able to avoiding passing out and embarrassing myself. When your “spider-sense tingles”? Oooo, I like it! Can I steal that? You’re really in touch with your intuition. Thank goodness you stayed away from the gym! I love that phrase: your spider-sense. Excellent! So true: “We ignore our intuition because it seems too obvious and easy to rationalize away”. My intuition speaks loudly and clearly..thoughts may be fleeting. My intuition isn’t always the easiest path but it Feels right..thoughts may be an easier path but not Feel as right..there isn’t a flow..
You’re so welcome. I’m glad you found the post helpful! Thanks for “coming ashore” and commenting! Sometimes I can tell the difference because my intuition doesn’t make rational sense. It is something that nags at me in spite of my thinking. I can’t justify it or explain it. And it gets stronger if I try to ignore it. Then I know I better listen! Thanks for the good guidelines. This is an important question. The operative words here are: my intuition doesn’t make rational sense. Voila! That’s it. Intuition is not logic – it’s truth. I’m glad you’re not ignoring your intuition! I often had the same question, is this intuition, paranoia, fear, etc. I believe that through conscious experience we can learn to decipher the difference. You’re right – experience is the best teacher of all! I’m so glad you stopped by and left your comment. It’s sure to be of help to the next reader Justin. How cool! Thank you to you and Tamra both — the examples are really great. I especially like your “clue” about the intuitive voice being a non-sequiter. I totaly agree — definitely a flag! However, I will say that in this particular case, I’m still not positive. It’s always most difficult for me when it’s a) my own, personal issue where I have a “stake” in it, and b) my emotions are invovled. Still… Even with all of this, if I were a betting person, I’d bet on my intuition; and frankly, this post helped me decide that. Of course I must! Besides all that, I’ve learned to give up being 100% certain and just go with it anyway. That is one of the most common reactions that blocks us from hearing our intuition. When we’re all up in an emotional tizzy over something we can’t make out whether were paranoid or really hearing our own intuitive voice. When this happens I let things rest for a while. After a day or two I might even ask for a dream to help me clarify things. Very helpful. I have another ques. What do you do when you have what seems like two equally strong messages. Gut tells me stay w group m. Gut tells me apply for a job. Thanks for this Ange but I have another question. Sometime I will have twoequally strong messages. Stay with the company or look for other work. Not sure which is my gut and which is. logic. Good question. They could both be logic. When we become to emotionally stirred up over solving a problem we have a hard time distinguishing our intuition from out logical mind. The best thing to do is to use muscle testing and bypass the rational mind all together. Hi Angela — thanks for this — I think there’s a definite difference, for me, between my intuitive flashes and what I usually call my thinking. Thinking tends to be accompanied by physical strain and feels like “work,” and intuition seems to emerge effortlessly and has an airy quality about it. That’s a great way to differentiate between the two. Thinking is definitely work, while intuition just appears out of thin air – no work there! Thanks so much for visiting and commenting. It’s always a pleasure to chat with you.